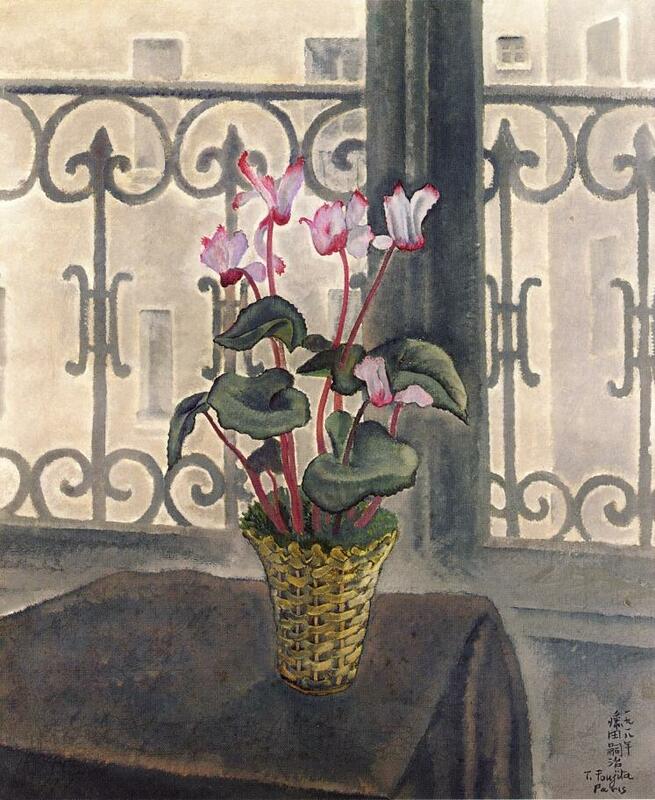 Léonard Tsuguharu Foujita was a French/Japanese painter and printmaker, best known for his participation in the bohemian culture during of the 1910s in Montparnasse, Paris. He was born in 1886, Edogawa, Tokyo, Japan and he died in 1968 at the age of 81 in Reims, France. He received his formal training at the Imperial School of Fine Arts in Japan, before moving to Paris in 1913. He was also involved in the Post-Impressionism movement in France and converted to Catholicism later on in his life. Foujita's works mostly displayed a fondness for white and pale shades like lavender and gray, and he walked a fine line between Japanese and European art, and was repeatedly inspired by women, cats and himself. 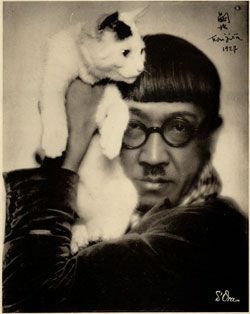 Some of his most notable works included his 'Book Of Cats', which has been described by rare book collectors as the most desirable book on cats ever publishe, and the Foujita Chapel which he had designed and conceived himself whilst he neared his death-it is now listed as an historic monument in France. 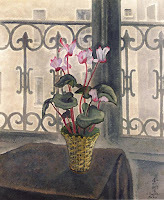 One of his arts that I admire is 'Cyclamens'. I like it as it was a surrealist-fantasy like look, though it looks real, it also looks like it came out of a storybook. I also practically adore his choice of colour scheme as to give it a softer and gentle look , and the blending, which makes the plant stand out within the smooth monochrome background while still being part of the picture whole. 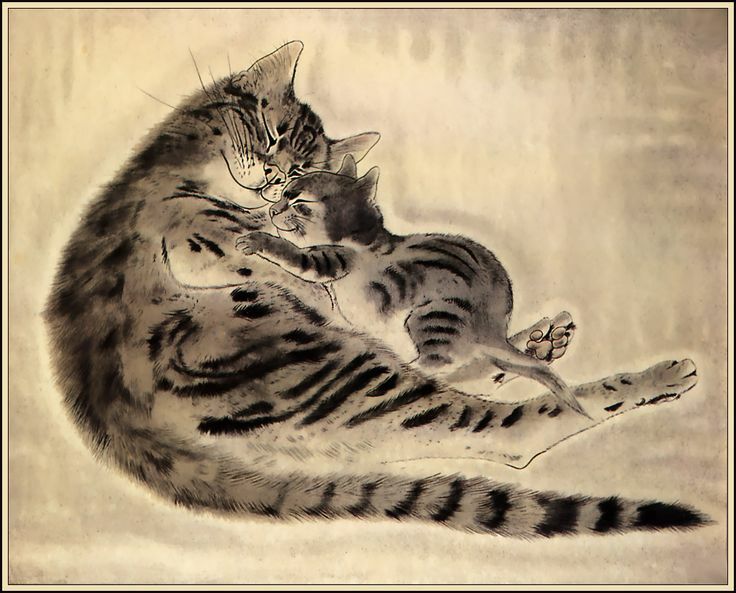 I also like many of his prints on cats as they all look so life-like, this is just one of them, but I particularly like the use of only two-toned grey or cream to give more emphasis on the cat's realistic looking fur and to give the cat a glowing outline as to stand out.